If you initially mistook Columbia’s Mobex backpacks ($99) for one of the kitten-sized miniature tent models hanging on the wall at your local REI, join the club. The unusually poofy backpacks may draw stares on the trail, but as we found out when we had a chance to actually strap one on, they’ll come from the hikers you’re flying by. 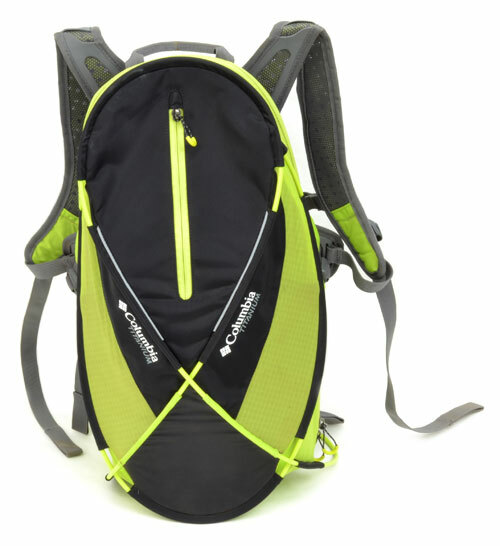 Though it weighs under two pounds like your typical, spineless school backpack, Columbia has packed the Mobex with trail-ready features including a hip belt, chest-hugging sternum strap, and a dedicated hydration pouch. Inside, a series of nets suspend your goodies throughout the pack, rather than letting them sink to the bottom into a lump of trail mix and tools. The shoulder straps and belt even form their own aerated, plastic-reinforced harness that attach to the actual cargo portion with elastic, providing a buffer between the pokiest fodder you can load the bag with and your back. The only caveat to carrying a miniature tent on your back turns out to be those “Mobex rods,” which drown out nature’s chorus with their own creaks, squeaks and wiggles. Ours even managed to twist themselves out of their original position into a jilted, uneven shape that kept stabbing us in the lower back with a loop of excess rod. Not cool, though Columbia’s latest designs seem to lop out the problematic portion on our review unit, indicating they’ve learned how to pitch a better tent. 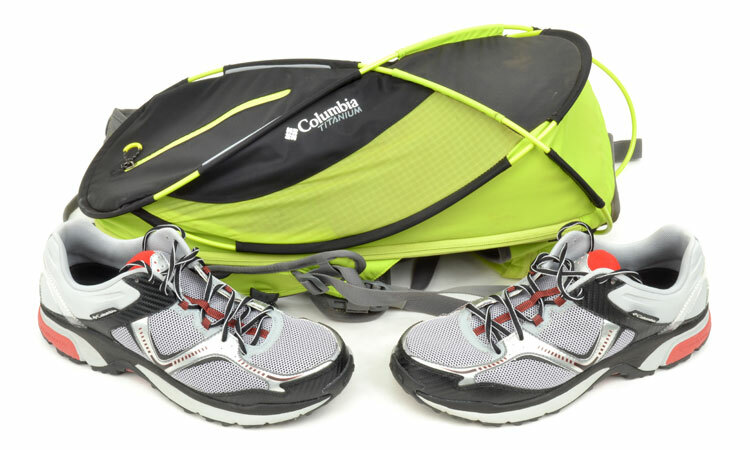 Columbia’s Ravenous trail runners ($90) and Hot Shot II jacket ($160) carry through the ultralight theme to almost ridiculous extremes. 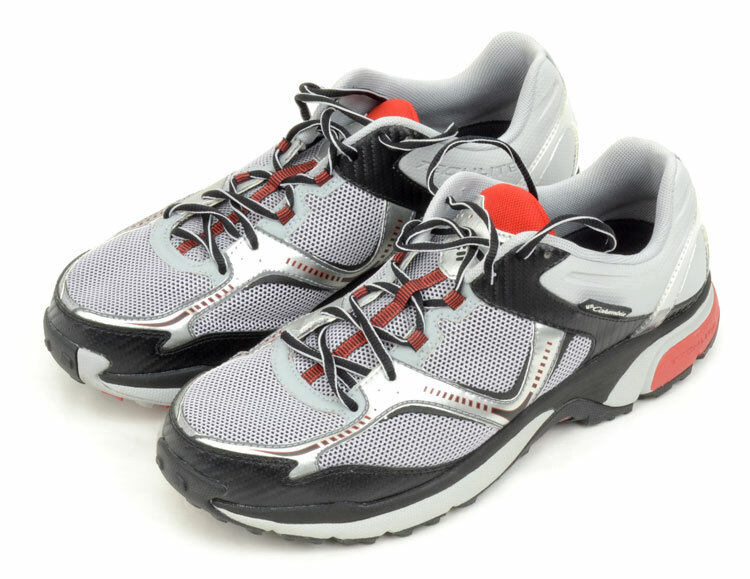 The 12.2-ounce Ravenous trail runners feel light enough to tap dance your way to the top of a nearest rock pile, and the Hot Shot II keeps out the elements like an astronaut suit, but packs down to the size of a black hole. Not a bad asset to count among your gear when trekking into the revolving door of sun and rain that takes place on the slopes outside Columbia’s hometown of Portland, Oregon. For warm weather, Columbia’s Back Slope Shorts ($45) and Optimus Half-Zip ($50) both make good on their claims of incredibly breathable, lightweight fabric, but we wish both offered conventional pocket placement for around-town wear when we weren’t trying to conquer switchbacks and sand dunes. Bottom line: If the second hand on your watch means anything to you while you’re hiking, Columbia has you covered with gear that will let you cover more ground between fewer ticks, even if you miss a few squirrel chirps and babbling brooks along the way.